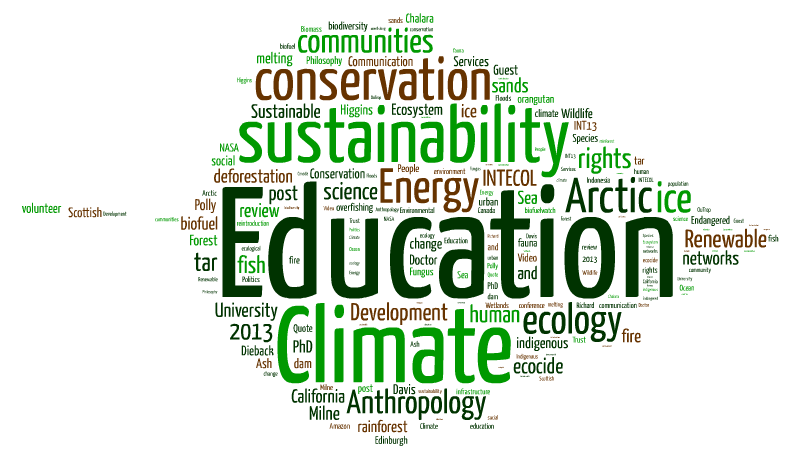 Today we celebrate our 100th EcoPost – Thank you to all our readers and supporters! This is our 100th post, and since our first what an exciting journey it has been! We have had over 12,000 views from 111 different countries. Most importantly, we have over 500 amazing followers, something which we never expected when we launched this project. We began this blog with the desire to vent our interests and passions and to involve others in the conversations and debates we have been having throughout our University careers and beyond. What started off as a small project has grown beyond our expectations! We have had some exciting events this year; one of our articles was published in Indian Country Today Media Network (ICTMN), a North American news source for Natives, American Indians, and Tribes in the U.S. and Canada which reaches 48,000 readers weekly; we traveled to London where we took part in INTECOL, an international ecology conference organized by the British Ecological Society, and we have built connections with two great projects: BioDiverse Perspectives and End Ecocide in Europe. We are constantly striving to continue this dialogue between people in all walks of life. If you want to get involved, if you are interested and passionate about the environment (which can be interpreted in the broadest of ways), then we want to hear from you!